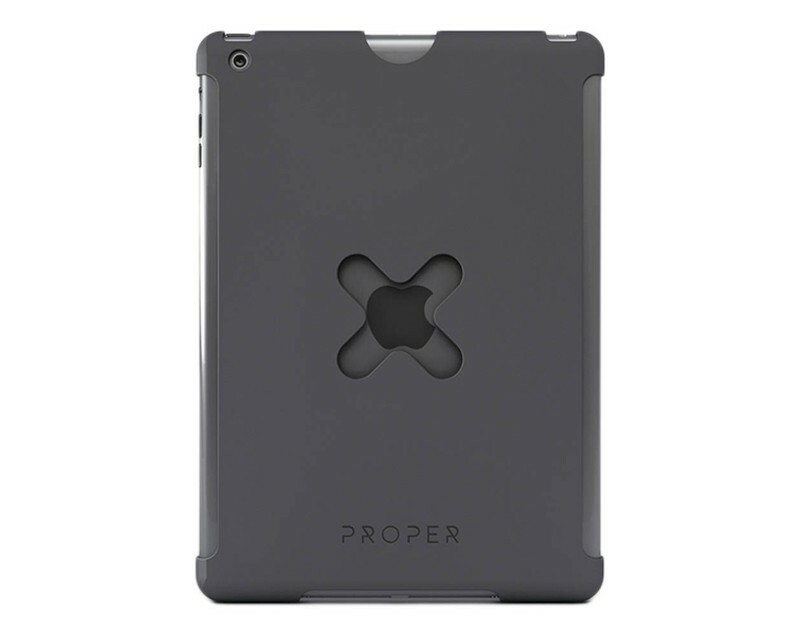 The Studio Proper Wallee iPad precision molded cases are the heart of the Wallee modular system. Simply plug any Wallee compatible accessory into the patented “X” mounting receptor for a versatile tablet configuration that fits just about any situation. When not docked to one the many interchangeable accessories, the Wallee serves as a durable protective case for your tablet. All physical buttons, cameras and speaker are left easily accessible. Additionally, the iPad 1 case is fully compatible with the Apple Smart Cover. The Wallee’s patented locking system ensures that your tablet securely mounts to any compatible accessory. Take your iPad from a location photo shoot to the studio and then home or off to a cafe. The Wallee compatible accessories are so versatile that the tablet can be mounted practically anywhere. Best of all, say goodbye to obsolete accessories. Wallee accessories are future compatible so as tablets evolve, all you have to do is update the case – the Wallee mounts, stands and accessories will work with the new case. Using accessories is easy. All mounts come with a locking X attachment which inserts into the Wallee Case. Insert the X on the Wallee case into the X on the accessory and turn. The slight rotation locks the tablet into position; rotate another 90 degrees to switch from portrait to landscape viewing. Turn another 45 degrees and the tablet and case release. The case is compatible with the iPad + Smart Cover. Various accessories for the Wallee System are available and are all sold separately. Using accessories is easy. All mounts come with a locking X attachment which inserts into the Wallee iPad Case. Insert the accessory's X into the Wallee iPad case and turn. The slight rotation locks the iPad into position; rotate another 90 degrees to switch from portrait to landscape viewing. Turn another 45 degrees and the iPad releases along with the protective Wallee case.